Tuscany is located in the heart of Italy and is sometimes called the country’s tanning studio. From the coast of the Tyrrhenian Sea to the Etruscan Apennines, tourists experience, besides the many hours of sunshine, a magnificent natural landscape, fascinating history and world-renowned art. Not least of all, the rich cultural landscape is visited for its many spas and hot springs. Tuscany once belonged to the heartland of the Etruscans and thereby to the most important regions on the Mediterranean Sea. The metropolis of Florence is world-famous for its art collection in the Palazzo degli Uffizi. Vacationers can get an outstanding panoramic view of the city from the Cathedral on the Piazza del Duomo. 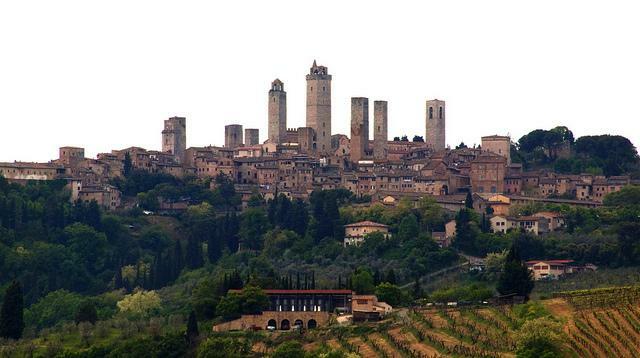 The city of Siena is scenically delightful, embedded in the hill country of Tuscany. Splendid palaces and churches set the scene around the Piazza del Campo. Visitors to the National Archaeological Museum cannot resist the enchantments of Etruscan civilization. 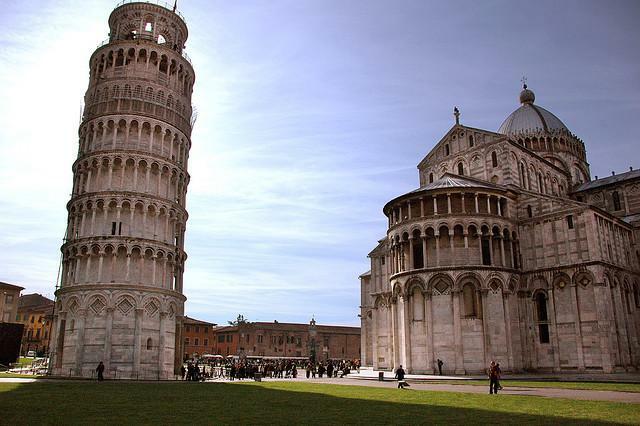 The “Leaning Tower” has made Pisa famous. The reason for the tilted position of the structure, with its colonnaded galleries, is the alluvium on which the tower stands. Anyone who wants to discover Tuscany from its original side should follow the Via Aurelia. This ancient Roman road links many beautiful towns, like Populonia, in the shadows of a castle, or Grosseto, framed by historical walls. Above all, Tuscany is considered an important cultural landscape and captivates vacationers with its imposing architectural monuments. The most famous is surely the Leaning Tower of Pisa, called in Italian the “Torre pendente di Pisa.” The subsoil of boggy ground and sand not only made the bell tower the world’s most famous tilted building, but also extended the construction time by a good 200 years. The Santa Maria del Fiore in Florence is also an architectural achievement realized on a grand scale. The Cathedral, with its world-famous dome, is a technical masterpiece of early Renaissance architecture. In Florence, the chief destination of many visitors to Tuscany, one finds in addition the Ponte Vecchio, the oldest bridge across the Arno. On the bridge, built in 1345, small shops are arranged side-by-side without a gap. As well, a Renaissance palace called the Palazzo Pitti is definitely a “must see.” Another architecturally impressive Tuscan town is San Gimignano, whose medieval city center is part of the UNESCO World Cultural Heritage. On a tour of Tuscany, active vacationers will enjoy the pines, olive trees and grape vines. But the varied landscape also includes magnificent forests, as well as several islands, the Tuscan Archipelago. This includes the third-largest Italian island. Golden beaches, craggy granite cliffs, verdant meadows and the 1019 m high Monte Capanne dominate the island and invite hiking, swimming and relaxation. Chances for relaxation also await visitors to Maremma, the wild landscape of Southern Tuscany, a region that focuses on sustainable tourism. Thus in the formerly swampy landscape one finds no mega-hotels. Instead, visitors can enjoy vineyards, olive groves and wooded hills. Besides hiking and bicycle tours, it is worth visiting the famous sulfur spas. While vineyard cultivation is still in its infancy in Maremma, the wines of the Chianti region are among the best-known and best-loved Italian wines. The region stretches from Pisa to Montalcino and thereby dominates a third of Tuscany. The Strada Chiantigiana runs through Chianti, and not only offers scenically charming views, but is also eminently suitable for a wine tour. In the towns and cities scattered across Tuscany, we find a wealth of art museums. Thus, in Florence’s Uffizi Gallery visitors can view works of painting and sculpture, from Antiquity to the late Baroque. The Galleria degli Uffizi is one of the world’s most famous art museums. Its collections include major works such as Botticelli’s “Birth of Venus” or da Vinci’s “Annunciation.” Likewise, Florence is home to the first academy for painting in Europe, the Accademia di Belle Arti. Even today, the Accademia unites all the painting schools in Florence and inspires young talents in a gallery featuring great works of old masters. The most famous piece in the comprehensive art collection is Michelangelo’s imposing sculpture of David. Besides the numerous art museums, in many public squares the tourist also discovers historic sculptures and installations. Tuscany can boast of two contemporary sculptural gardens. Il Giardino di Daniel Spoerri is located in southern Tuscany. This park, spread across 39 acres, was created by the artist Daniel Spoerri and features works of famous artists, as well as of new talents. Close to Capalbio in Maremma, visitors can enjoy the sculptural garden of the artist Niki de Saint de Phalle. In the Tarot Garden in the midst of olive trees and cork oaks, there are 22 colorful sculptures depicting figures of the Tarot cards, decorated with ceramics, mirrors and colored glass.